You will never lose your grandmother again! 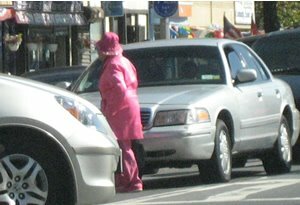 Dress her up, head to toe, in a bright shade of pink, and you will be able to spot her from miles away. 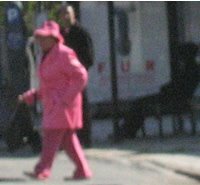 Everyone will help you look for sweet pepto lady.